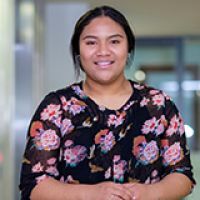 A high school teacher first sparked her interest in accounting, says AUT business alumna Hana Velio who now works as a finance analyst for Genesis Energy. “I first became interested in accounting when I decided to take it up as a subject in high school. I loved that my teacher took the time to explain things thoroughly, and made sure that everyone in the class succeeded. Her Bachelor of Business has given her a solid foundation for her accounting career, Hana says. “I would highly recommend AUT’s business degree to others. In fact, I sometimes find myself telling others, especially kids who are fresh out of high school, how great AUT’s Bachelor of Business is. The staff provided us with all the necessary information and support to succeed. The supportive environment helped her face the challenges she encountered, Hana says. After graduating, Hana joined Genesis Energy as a graduate accountant, an opportunity that opened up thanks to a summer internship through the TupuToa programme. “Through the TupuToa programme I was offered a summer internship with Genesis Energy, which made it easy for me to stay on to do the final-year workplace experience for my business degree. Hana’s experience at Genesis Energy also opened the door to her first job after university, and she remained at the company as a graduate accountant. She was recently offered a finance analyst role at Genesis Energy.